Katherine Ciano, Marty Hind, Eric Dugas and Jon Kunitake are the guests for Sunday’s Emily T. Gail Talks Golf, which will air at 6 p.m. on ESPN Radio (AM 790 in Kona and AM 850 in Hilo). 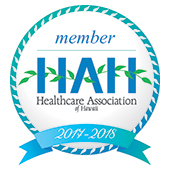 Ciano is the executive director for North Hawaii Hospice, and Hind is a volunteer board member and chairwoman for the Tommy Bahama Big Island Classic, which takes place June 14 at the Mauna Kea Golf Course. Both will discuss the golf tournament, which benefits the programs and free services North Hawaii Hospice offers.